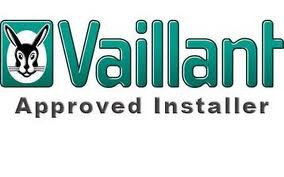 BOILER REPAIRS IN BRIGHTON.CHEAPEST BOILER DEALS**SPECIAL OFFERS**CUSTOMER TESTIMONIALS.VAILLANT BOILERS.BOILER INSTALLATIONSCENTRAL HEATING POWERFLUSH.ENERGY EFFICIENCY.LINKS.CONTACT US. We are gas boiler & central heating engineers based in Brighton & Hove. Our company cover all surrounding areas including Lewes, Burgess Hill & Worthing. Our engineers are BPEC water regulation certified enabling us to be on the WRAS Approved Plumber Scheme. We offer a 'quick response' call-out service', and what's more we don't charge for the call-out. **We are the cheapest boiler installer company in Brighton & Hove and our services come with a minimum 7 year warranty on all new boiler installations. Central heating energy efficiency upgrades. So if you've a boiler or central heating problem, require some advice or would like a written quotation for any of our services we would be glad to hear from you. ...How refreshing to find a company that puts customer satisfaction first. No call out charge, free diagnoses, no obligation quote, superb service and all at a very reasonable price! What more can you ask for? Good work mate, thanks! ....Many thanks for coming out so fast and fixing our boiler. Less than 3 hours from calling Dales Plumbing to having heating once more. Your company came highly recommended and for good reason. Check out what other customers say on our Testimonial's page.